(Press-News.org) AUGUSTA, Ga. - The regular physical trauma that appears to put professional football players at risk for degenerative brain disease may also increase their risk for hypertension and cardiovascular disease, researchers say. The frequent hits football players experience, particularly frontline defenders such as linemen, likely continually activate the body's natural defense system, producing chronic inflammation that is known to drive blood pressure up, according to a study in The FASEB Journal. 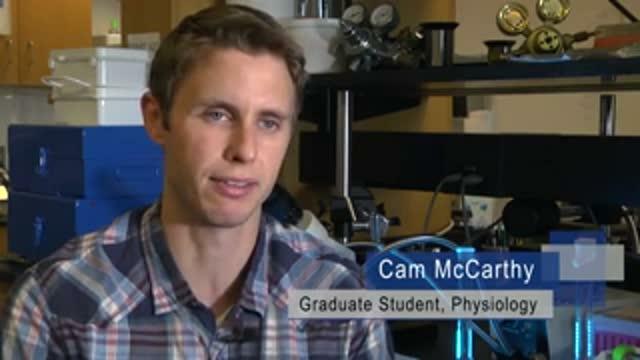 As an example, long-term, muscle cell tears actually help build muscle, but short term they spill cell contents, including damage-associated molecular patterns, or DAMPs, which capture the attention of the immune system, said Cam McCarthy, a fifth-year graduate student working in Webb's lab and the study's corresponding author. DAMPs activate what should be a short bout of inflammation to deal with the danger, but in football players, this likely happens over and over again in just a single game. "We think that this increase in blood pressure we see in football players is due to the repeated trauma and immune system activation," McCarthy said. Higher blood pressure has been associated with professional and even college football, but exactly why remains unclear, Webb said. He noted that the cause is likely multifactorial and not simply the obesity found in the preponderance of players. While players' blood pressure tends to drop toward normal after each season, a long-term impact is likely, the researchers said. Professional football players, for example, have a higher incidence of cardiovascular disease than the general population and live, on average, 10 years less. 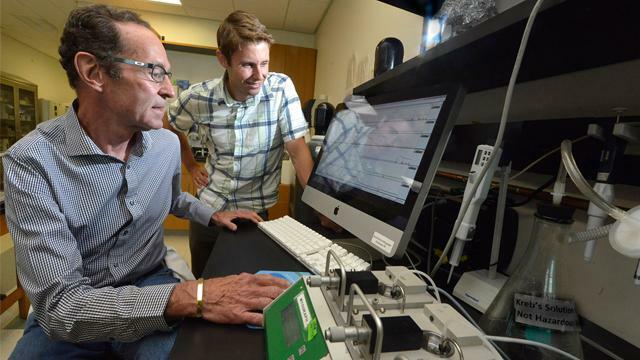 Webb and his team have evidence that - at least in rats - circulating levels of DAMPs are increased in hypertension and increasing evidence of their direct role in hypertension. DAMPs appear to raise blood pressure by activating toll-like receptors on endothelial cells, which comprise the single-cell-thick lining of blood vessels. Toll-like receptors are located in all tissue and cell types and these pattern-recognition receptors are always on the lookout for danger and invaders, such as bacteria, McCarthy said. Fat, particularly in the abdominal area, is a known risk factor for hypertension and other cardiovascular diseases. A 2005 JAMA study showed that the percentage of NFL players with a body mass index of 30 or greater, which is considered obese, was double that of their non-football-playing peers. Offensive and defensive linemen had the highest BMIs. However, despite the pervasiveness of overweight, particularly among linemen, labeling body weight as the only culprit, is premature and doesn't take into account the complexity of hypertension, the MCG researchers write. Webb and McCarthy's FASEB study was supported by the American Heart Association and the National Institutes of Health.